Residues of some chemicals are unintentionally present in some foods as a result of food production, e.g. spraying of crops with pesticides, use of veterinary medicines for food-producing animals. 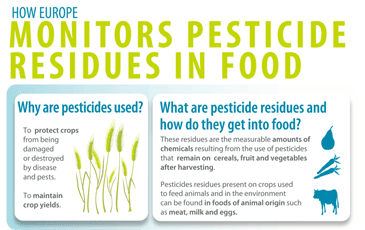 EFSA publishes an annual report on pesticide residues in the EU based on monitoring information received from all EU Member States plus Iceland and Norway. As well as an overview of pesticide residues found in food throughout the EU, the report assesses the exposure of consumers through their diets. EFSA also supports the European Commission in the production of an annual report on veterinary medicinal residues in food from animals based on aggregated data submitted by Member States to the Commission. 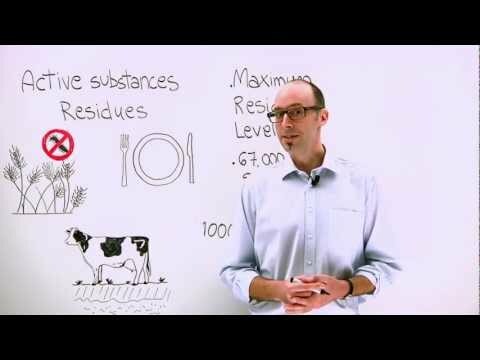 Watch: What are pesticides and how do they get into our food?